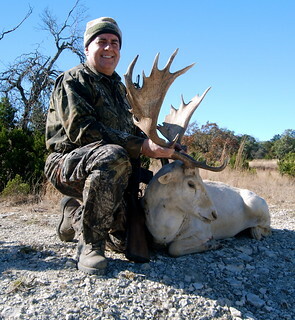 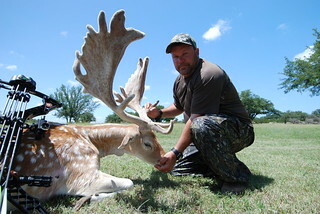 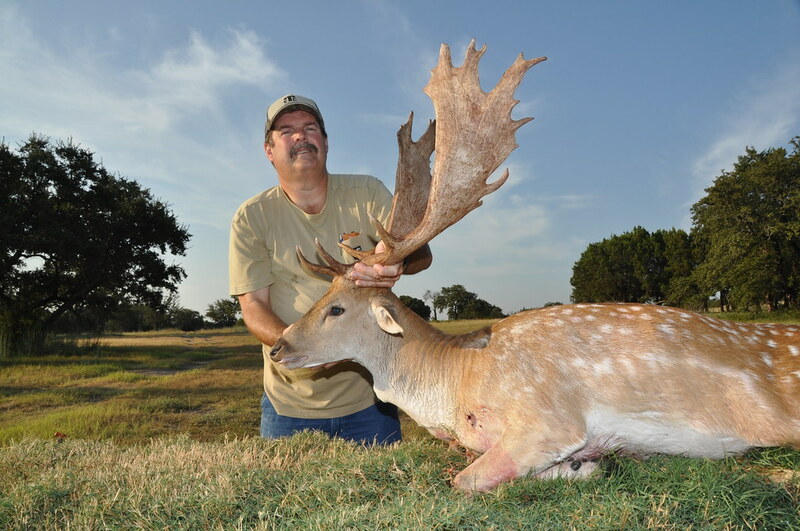 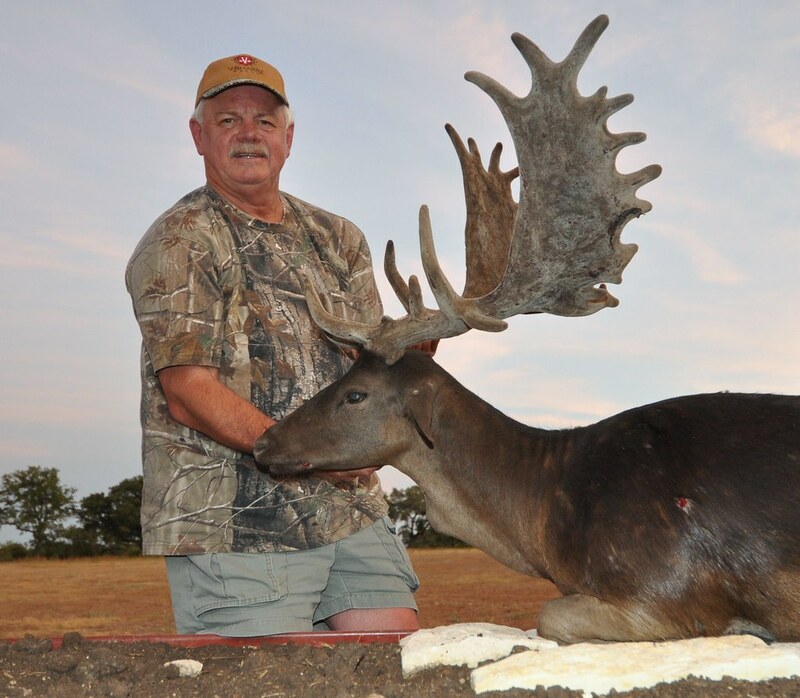 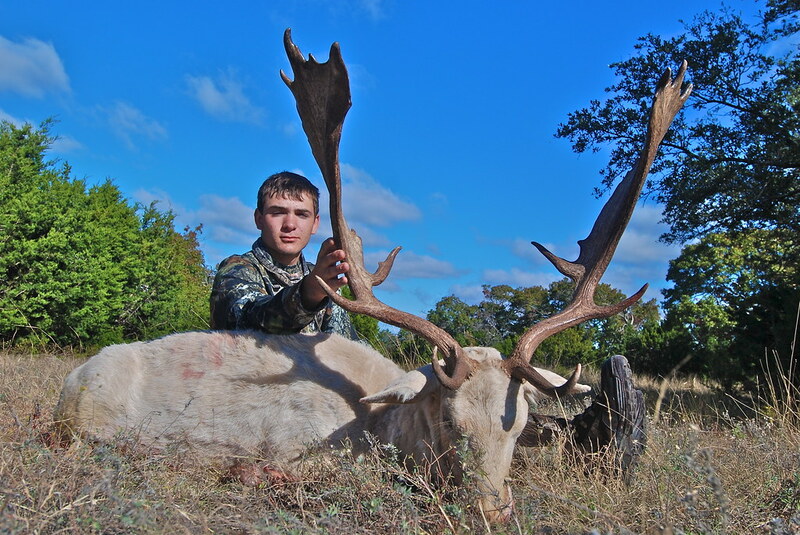 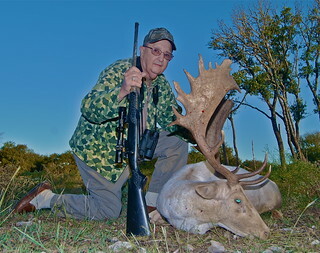 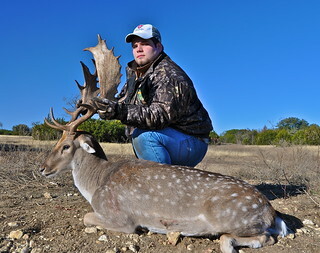 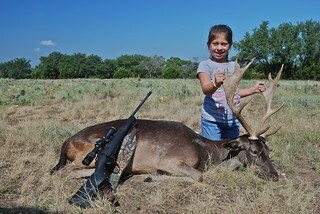 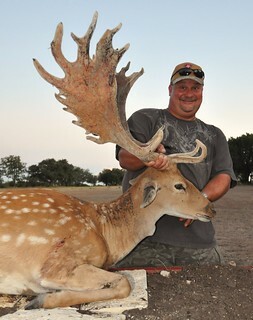 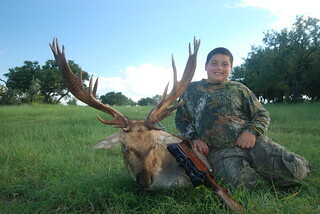 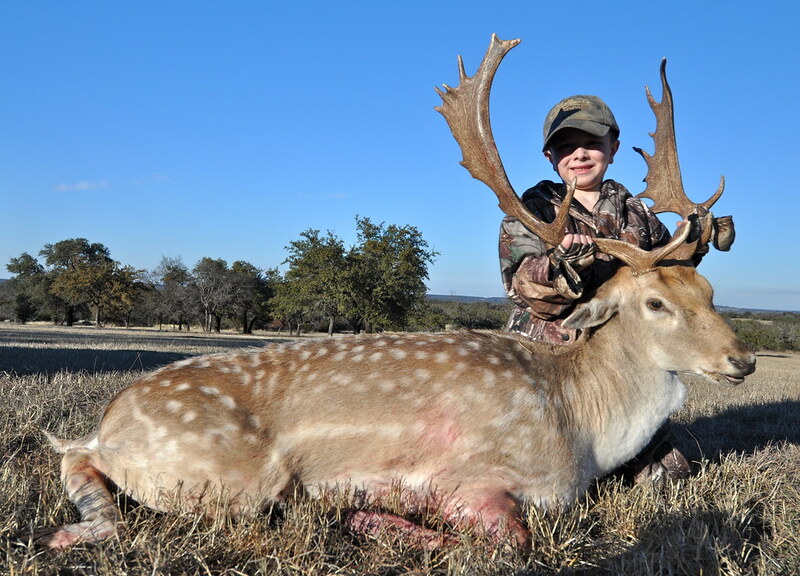 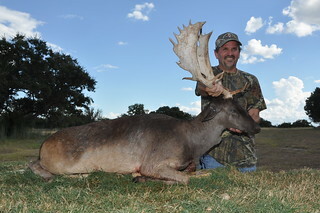 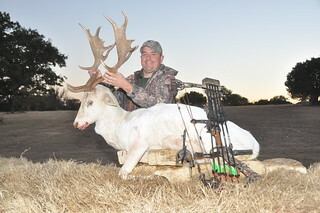 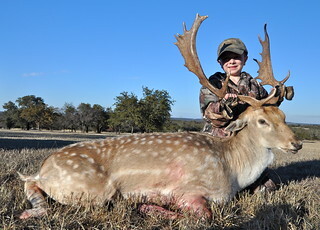 This is V-Bharre Ranch’s fallow buck hunting photo gallery. 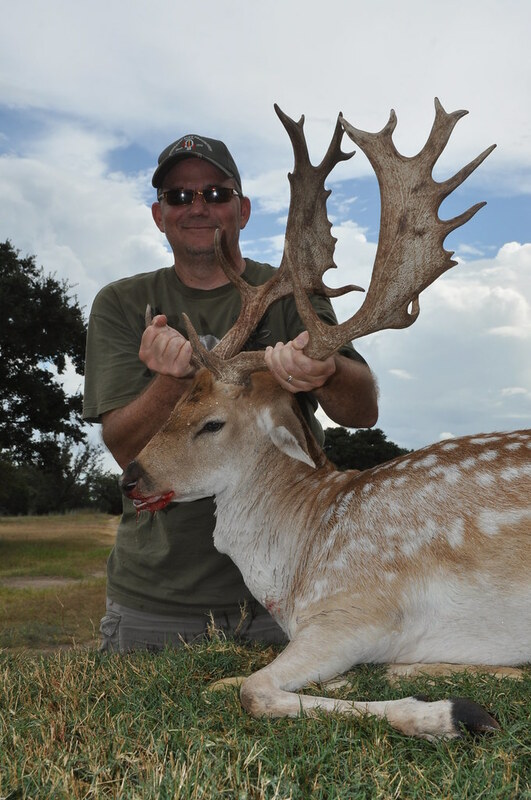 Click around our exciting gallery to see majestic fallow deer harvested right here. 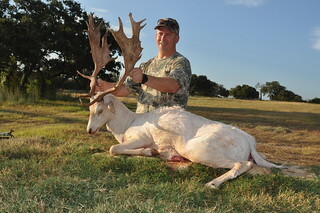 Then hover your cursor over each thumbnail and/or photo and see the score of that exact buck. 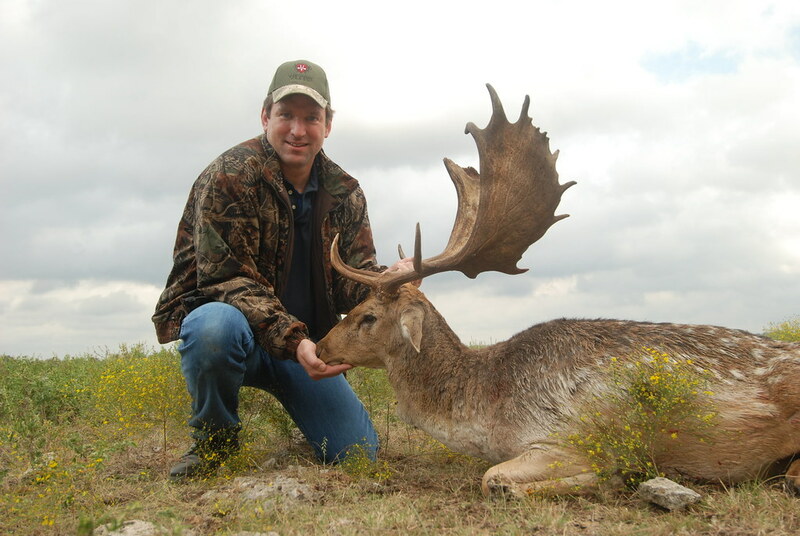 You get a terrific visual frame of reference (while testing your own scoring skills). Every day, we work really hard to create the best-possible total hunting experience. 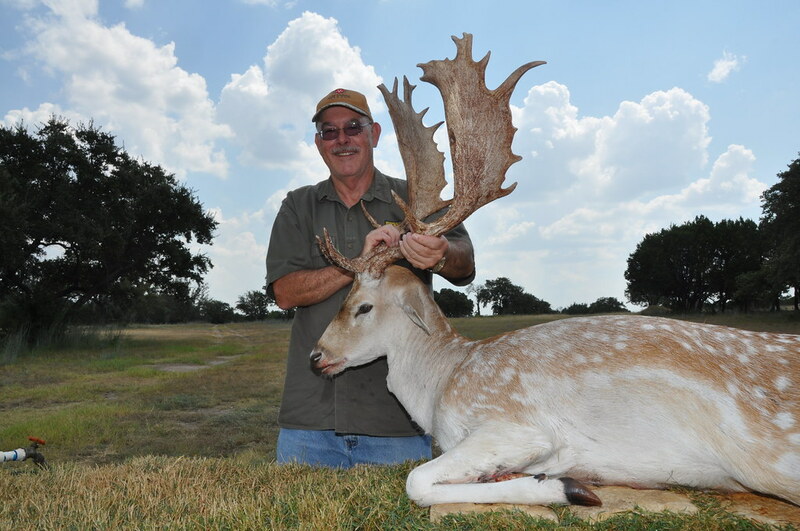 And whether you’re a seasoned trophy hunter or have always dreamed of your first fallow buck, V-Bharre Ranch is the place to make it happen. 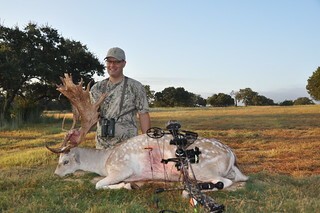 Fallow deer hunting in Texas can be quite challenging; the animals are very cautious when they sense being followed. 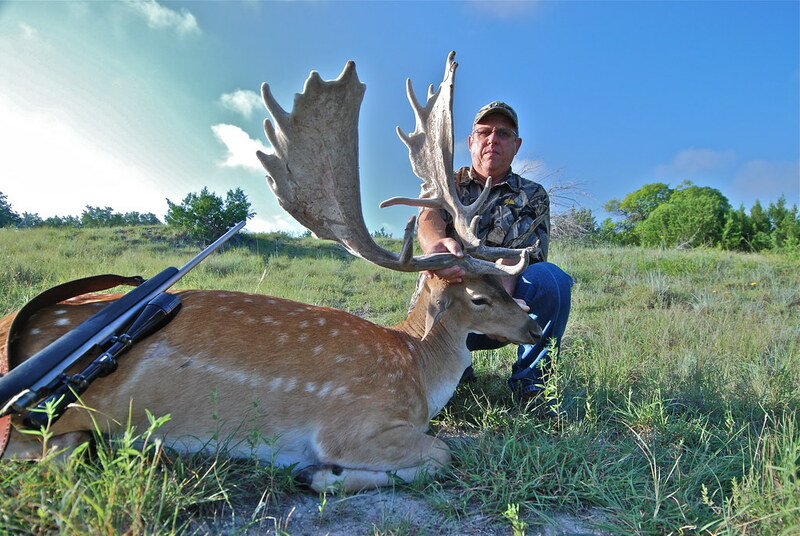 Our expert hunting guides are right there with you, making sure you do everything right in your quest for that brag-worthy trophy. After your hunt, our skilled on-site processors provide you with world-class gourmet venison. Starting in mid-August and going through January, our all-inclusive Texas fallow hunting adventures fill up fast (and early). 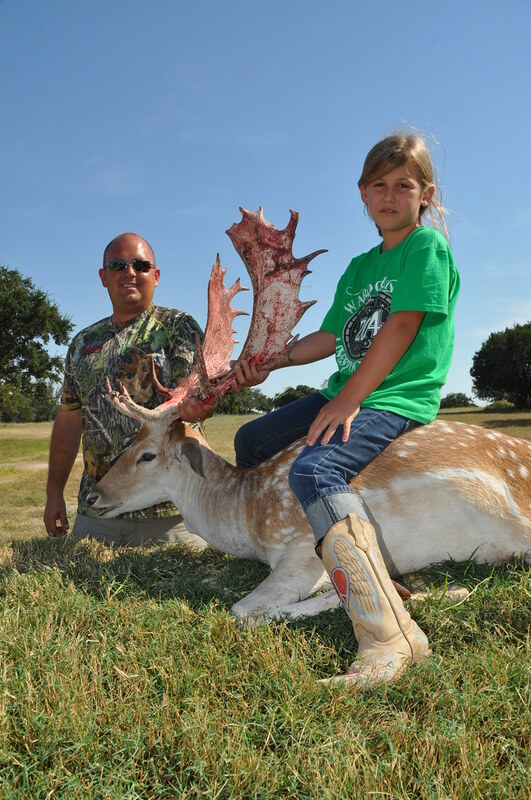 Snag yours soon so you – and your entire party – can share in this thrilling bonding experience. I went on a fallow hunt and must say that I was truly impressed from start to finish. 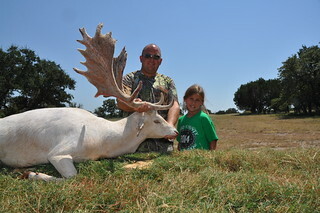 Mike, Brad and his family were fantastic and made me feel right at home as soon as I walked through the door. 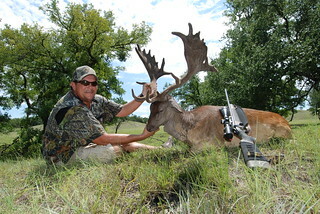 The accommodations, food and meat processing facility were top of the line. 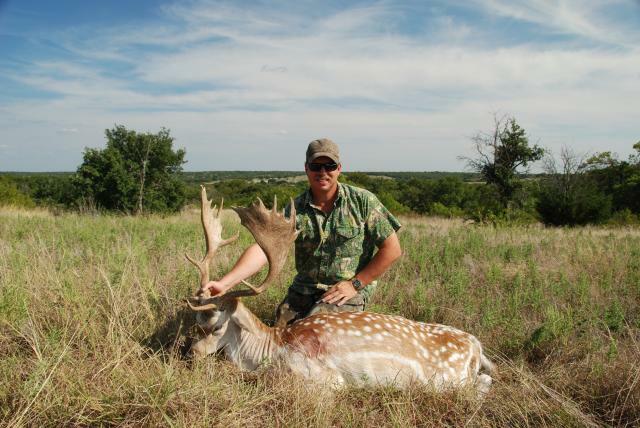 This is not a canned hunt by any stretch of the imagination; the animals are wary and will test your resolve and patience. 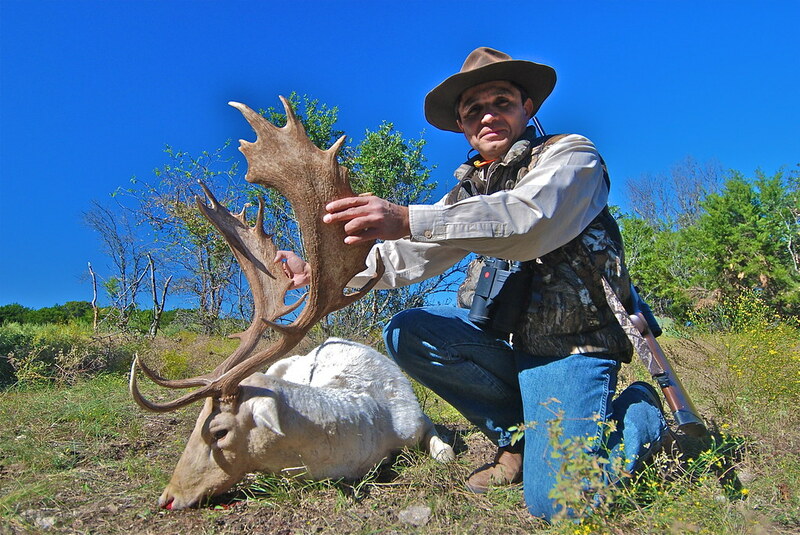 I can’t say enough about my guide, Brads knowledge about the game and their habits, uncanny ability to spot animals in some very thick cover, his unrelenting hard work and willingness to do whatever it took to ensure my hunt was successful was unparalleled. 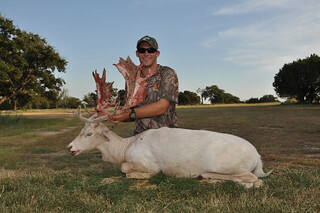 During my hunt, the heat index was a balmy 106-112 degrees which would normally be a show stopper but because of Brad’s ingenuity of placing a cooler of ice with a battery powered fan on top, our blind stayed at a comfortable level. 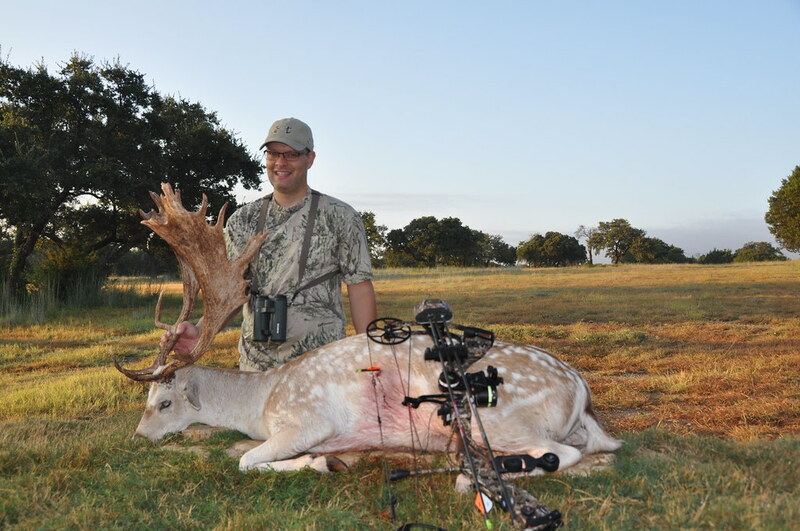 Everyone took the extra steps to ensure I had a successful and memorable hunt which resulted in me harvesting two exceptional fallow bucks, one having a 35″ spread and the other having 6″ palms and mass throughout his rack. 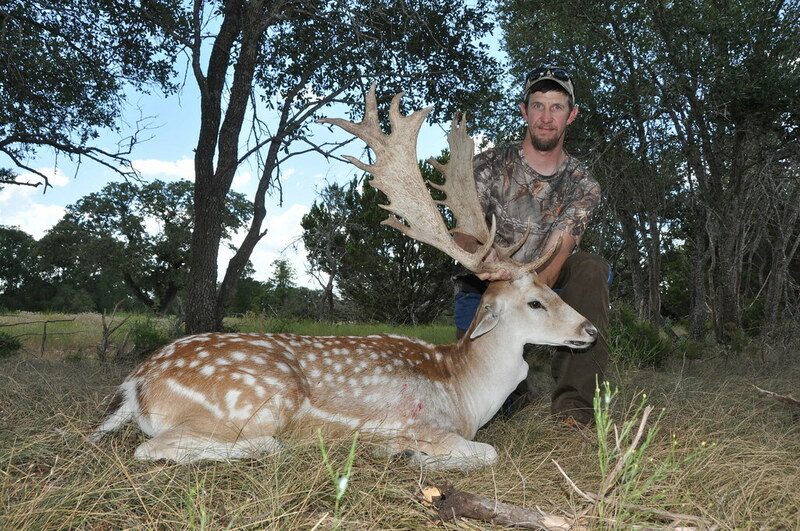 You cannot go wrong by booking a hunt with the V-Bharre Ranch. 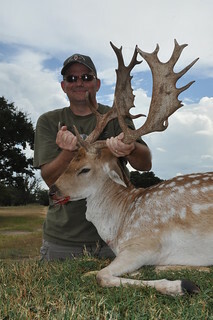 I will be coming back for all my exotic hunts as they have exceptional trophies for all the species they have listed. Please take a few minutes to read what other V-Bharre Ranch visitors had to say about their hunting adventures with us. 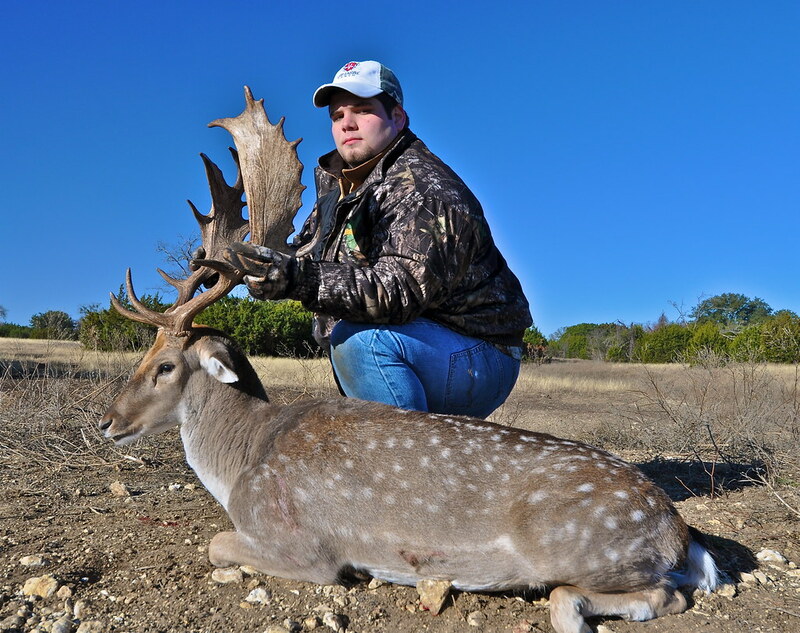 You’ll be really glad you did.